The second 767 Girls Rock is just around the corner and excitement doesn’t accurately describe the feeling that is going through my body right now. Women and girls from all over Dominica will have a chance to form part of the live audience and if it’s anything like the last, we have a lot to look forward to. So, make up your mind to buy a ticket ASAP (they sell out fast). 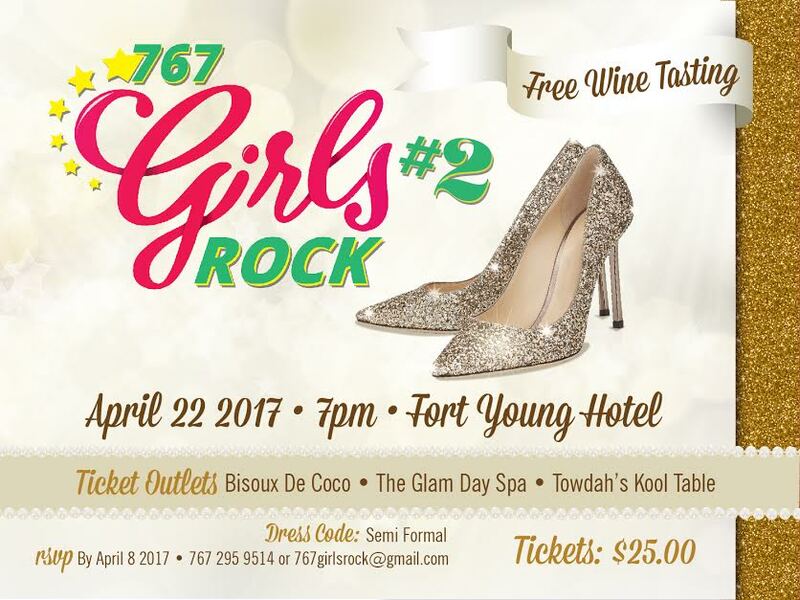 Hosted by radio and television personality Jael Joseph, the show promises to feature five women who have taken the lead to inspire change in the lives of others. This time around the organizers have put together an interesting and diverse group of women. On the list we have Kellyn George, Founder of the Dominica Sickle-cell foundation; Leandra Lander, a former Miss Dominica and culture enthusiast along with Dr. Schuyler Esprit, an educator with a knack for history, reading and heritage. 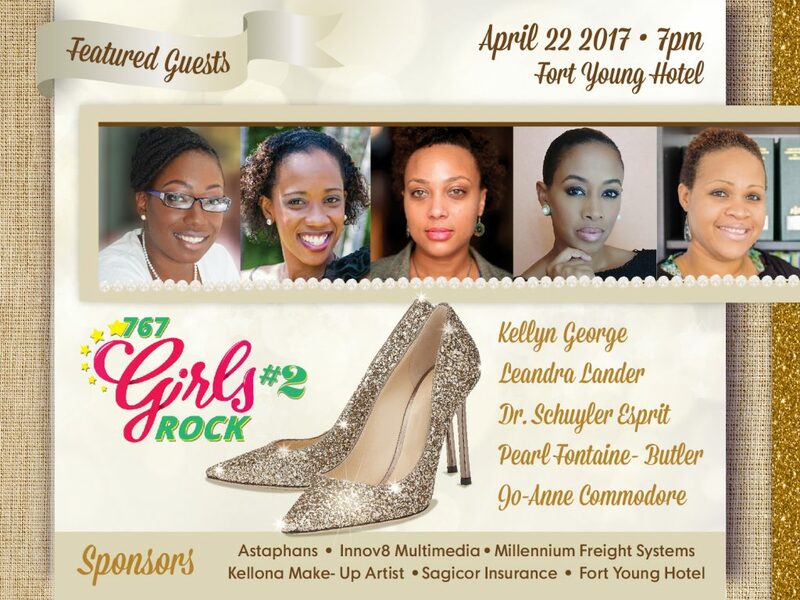 Also to be featured is image consultant and make-up artist, Pearl Fontaine Butler and former registrar and current Permanent Secretary of the Ministry of Justice, Jo-Anne Commodore. The whole idea behind the event is to encourage the next generation of girls to believe in themselves and build the confidence needed to become extraordinary women. Seriously, an entire show to chat about the success of women while enjoying wine seems almost too good to be true. So I don’t plan on missing out and neither should you. Check out some clips from the featured women of the last show.